Exclusive villas in Alanya Bektash with panoramic views, swimming pool, fitness center, sauna and games room.The Villa complex in Alanya is a perfect combination of excellent location, high quality construction and architecture and a luxurious and comfortable lifestyle. KONAK PREMIUM 3+1 We build for you a comfortable and cozy complex where there are all that is necessary for your rest: sea, sun and beautiful nature. The project of the Konak Seaside Premium complex is under construction on 25.000 m2 and consists from 8 blocks. There will be a remarkable view of the sea and mountains from big windows of apartments and balconies. 4-BEDROOM LUXURY VILLA FOR SALE IN SAKARYA BY PROPERTY IN ALANYA. GREEN & POPULAR AREA, PEACEFUL, CLOSE TO AIRPORT, MODERN, FLEXIBLE PAYMENTS.Sakarya is a city that is close to istanbul and Sabiha Gökçen International Airport. The location is very popular and you can feel yourselves peaceful in nature, but at the same time close to all necessary central areas. Luxury 4 bedrooms villas4 BEDROOMS LUXURY VILLAS FOR SALE IN KARGICAK / ALANYA. 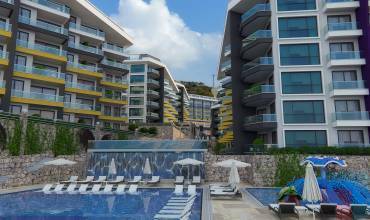 220 SQM, 2,000 MT TO BEACH, SEA & MOUNTAIN VIEWS, MORTGAGE, FLEXIBLE PAYMENTS.Kargicak area in Alanya is very popular with its multicultural and peaceful environment. PROJECT ,WITH STUNNING SEA VIEW VillasWILL RISE WITH OUR EXPERIENCE OF YEARS AND BE MOST ELEGANT LIVING AREA OF MEDITERRANEAN REGION.Project ,which will be build up on an area of 13.300 m2, commits to provide the comfort and luxury life by using cutting-edge construction technologies and human philosophy. 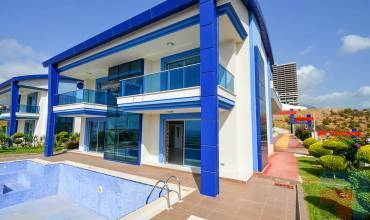 FOR SALE 3+1 DUPLEX VILLAS IN SIDE / ANTALYA OF PROPERTY IN ALANYA. 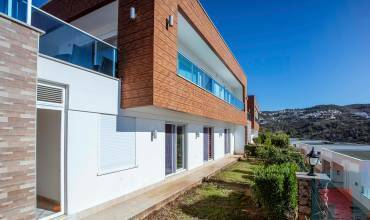 245 SQM, SHORT DISTANCE TO THE SEA, TRADITIONAL ARCHITECTURE, PEACEFUL AREA.The area of the project is popular and peaceful that allows a comfortable and cozy life. 3-bedroom duplex villas are 245 sqm and have traditional Turkish architectures. Not far from the sea. The Granada Residence Luxury Villas are being built in Kargıcak, one of the most beautiful towns of Alanya, where “the Sun is Smiling”, just for you, our valuable Customers. We are waiting also for you in Granada Residence Luxury Villas to see the spectacular view of the Mediterranean on the foothills of Toros. 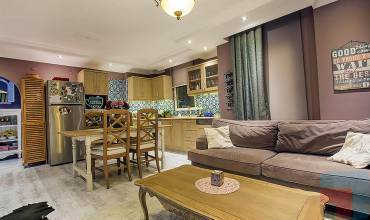 Are you searching for a modern detached 3 bedroom villa built on private land? This gorgeous property is ideally located in a relaxing area of Mahmutlar, just 900m to the beach, and with stunning views.The 230m2 living space is beautifully designed, with a spectacular living and dining area right in the very heart of the villa. From here, a series of archways lead through to the other rooms. ARNELYA BEACH RESIDENCE Penthouseis a boutique housing project that provides quality details and have high quality social facilities in a location where city’s historical texture meets with natural beauties, and prepared on a total area of 1902 m² straight to the sea scene with a total of 31 apartments. Imagine a house. On the shore of a blue sea! 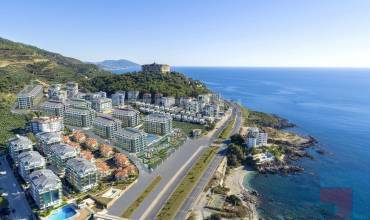 The most beautiful location in Alanya.Our new project Kurt Safir I Euro Residence 20 Luxury Residence is a coastal project with high standards. 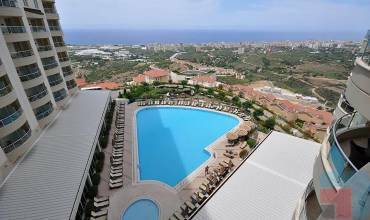 The Project is located Antalya / Alanya / Mahmutlar region. Our project; It consists of 2 blocks and 146 residences in total. Euro Residence 20 is planned to be built on a total of 3.989 sqm land.